Congratulations to our Grand Prize Winner, "Laurie L." and our two runners-up, "Ellen M." and "June M.". THANK YOU TO ALL WHO PARTICIPATED. 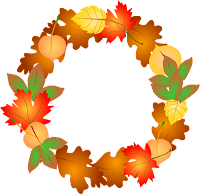 HAVE A LOVELY FALL! 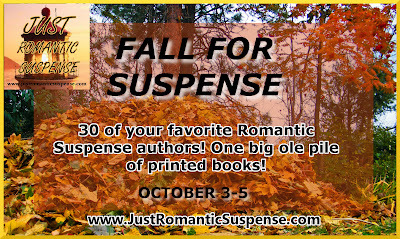 Winter, spring, summer, or fall, JUST ROMANTIC SUSPENSE has a giveaway for all. It is with great pleasure I announce the details of our FALL FOR SUSPENSE giveaway. It is awesome! 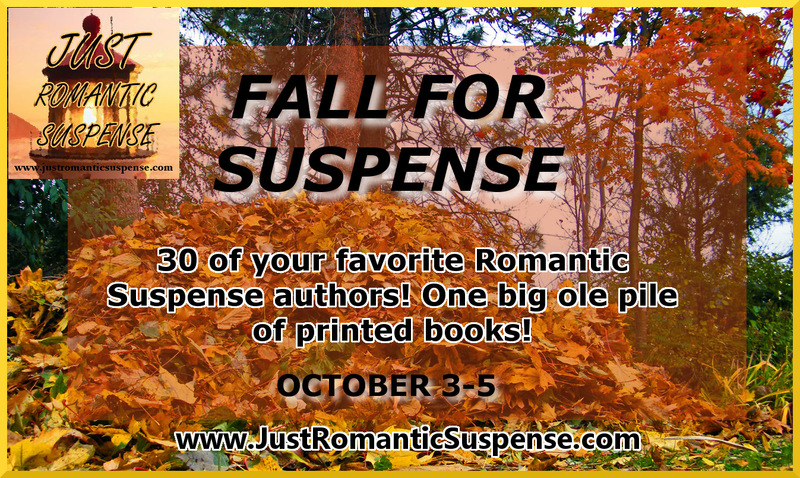 From October 3-5 everyone can FALL FOR SUSPENSE on JRS! 30 of your favorite Romantic Suspense authors have pitched in with their printed books to make your fall season a special one. On October 6th, one grand prize winner will be able to select 10 titles of their choice from the "pile". OUR BIG OLE PILE OF BOOKS! Giveaway ends 11:59pm EST October 5th. Please supply your email in the post. You may use spaces or full text for security. (ex. jsmith at gmail dot com) If you do not wish to supply your email, or have trouble posting, use the email maureen@justromanticsuspense.com with a subject title of JRS FALL FOR SUSPENSE GIVEAWAY. This giveaway applies to US and CANADA mailing addresses only. My favorite thing about autumn is the cool comfortable weather. I also love shopping for Halloween candy and decorations. Thanks for the awesome giveaway. I love the fresh cool clean air of autumn and the beautiful colors. Autumn is my favorite season!! The cool weather, the changing color of the trees, and football!! You can finally turn the fireplace back on and cuddle up on the couch with a thick blanket and a great book!! Thank you for the chance to win this great giveaway!!! Thanks, M! I love JRS. The line up of books is awesome. Now I just need some luck, right? My favorite thing about autumn is the cooler temperature which means different clothes. I prefer jeans and sweat shirts to shorts/capris. Thanks again for this awesome giveaway! That is quite the impressive lineup of books! Aside from the beautiful colors, crisp air, football, and Halloween candy... my favorite thing is Pumpkin Spice Latte's from starbucks! Autumn is my favorite time of year. I get excited just thinking about the leaves changing colors, sweater weather, apple picking, spiced cider, Fall bbqing, hayrides, picking pumpkins, decorating for Halloween, beautiful mums and so much more. I LOVE this time of year! I love Fall. My anniversary is in October, so my wedding and honeymoon is my favorite Fall memory. Fall is beautiful! Especially the crunching leaves underfoot. I love watching nature change into it's coat of many colors. Walking with a cool breeze in my face. Decorating for holidays. Cool nights spent cuddling under a blanket and reading a great book. And so much more. Thanks for being so kind to your readers with this contest. I do love autumn and for many reasons, colors changing on the trees, cool mornings and evenings, Halloween, the promise of snow (snow skiing) and the anticipation of holidays coming. Thanks for the chance at some wonderful books - such great authors. My favorite thing about Autumn is the cooler weather, drinking hot chocolate, the cool breeze, lighting the fireplace, and the changing colors of the leaves. Love the cooler weather and the changing colors of the trees. The excessive summer heat this year has me exhausted. We are anticipating fall next week and maybe the cooler weather will save some of my wilting veggies. I love the crisp cool air, the rustle of the leaves beneath my feet, and the memories of pumpkin picking with my children when they were younger. My favorite things about fall are being outside, football, marching band and sitting on my front porch at night! The vibrance of the colors doesn't hurt, either! I love the jacket weather and the smells of autumn (apple cinnamon and pumpkin). I love the colors of the changing leaves the most! Thanks for the chance to win books from some very fabulous authors! I love watching the leaves changing colour and then falling, the colours are amazing. Also, carving pumpkins with my siblings when they were younger and then taking them trick or treating in their costumes! What I like about fall (besides the beautiful leaves) is the cool, crisp air and being able to have the house windows open without being bothered by allergies. I love fall! Especially Halloween and Thankgsgiving...I just wish it was cooler where I lived. Though I'm not a fan of the colder temperatures to come, I do enjoy the beauty of the fall season .. the colors and scents .. and more recently I guess Ive started to see the fall season as one to welcome with a warm blanket, comfy sweater and hot chocolate or tea to enjoy a wonderful story with .. Maybe I'm finally slowing down and learning to enjoy the great little things as they should be. Thank you for the amazing opportunity to potentially discover many new authors and their stories that needed to be told.. 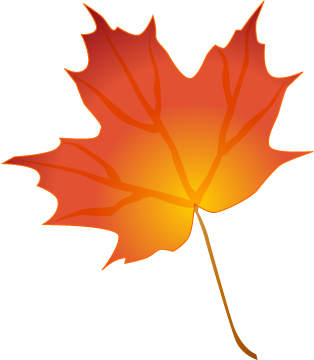 Happy Fall and good luck/best wishes to everyone ! Fall is one of my favorite times of the year! I love the change in the weather, the leaves, the colors, the smells (who doesn't love pumpkin and cinnamon?!). 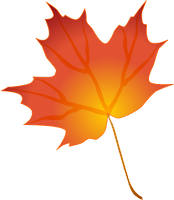 I love the food in the fall - pies, breads, chili, soups. I love Halloween :) Dressing up and taking our daughter trick-or-treating is always something we look forward to every year :) I love the pumpkins and going to the pumpkin patch - spending quality family time with my husband and daughter, picking our own pumpkins, eating cider donuts and drinking that delicious apple cider! And I love carving the pumpkins! Fall is always so much fun! Thanks for the awesome giveaway. and Good luck to everyone. What a fun contest! Nothing I like better then curling up with a good romantic suspense book! I just relocated across the country, from New England to Florida. This year fall doesn't really feel like fall yet. However, I love EVERYTHING pumpkin and I love eating all of the left over candy!! My favorite part of fall is the leaves changing, the fun scarves, the boots, and of course Halloween. Wow! What an amazing giveaway. My favorite thing about fall is the cooler weather. After the high temperatures of the summer and before the cold of winter, it is a great change. I like being able to wear soft, comfortable sweaters, scarves, etc or just curling up under a blanket and reading. Fall means to me spending time with my family playing games and baking. Fall is my favorite time of the year! I love the crisp cool weather, colorful leaves, fresh apples and Thanksgiving. 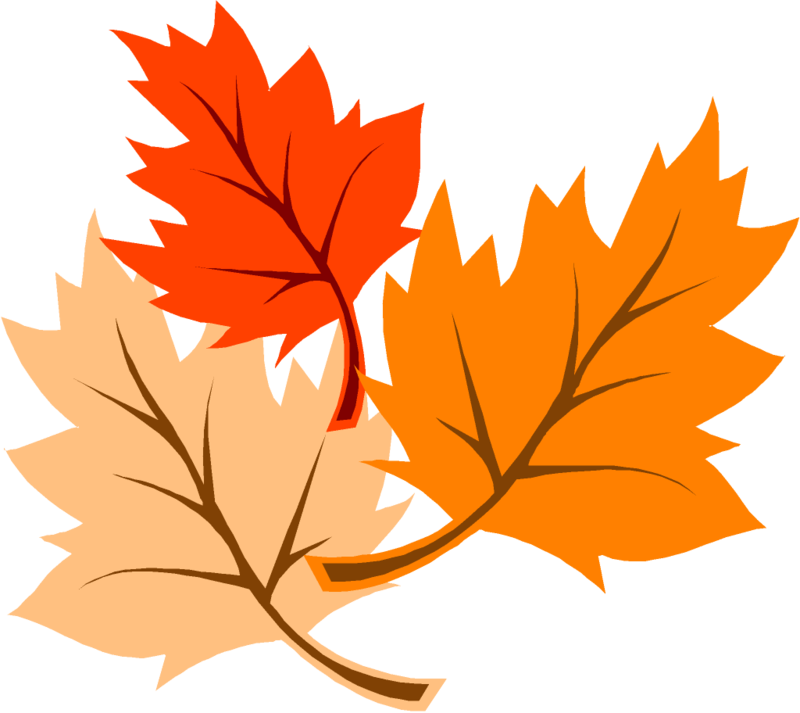 I love fall with its slower pace, cooler weather, the vibrant fall colors, Halloween & of course Thanksgiving. More time to curl up with a good book! I don't mind autumn, it's just that it's a precursor for winter which here in WI, can be brutal. I love my summers best! I'll fall for suspense anytime! What I like about Autumn is the cooler weather. I can stay indoors, and keep cozy with a good book. I don't have to worry about sun rays constantly invading my house and skin. There's sunlight without the glare, most of the time. I love fall! I love the cooler temperatures, playing outside more and jumping in the leaves with my daughter. I absolutely love Autumn. I like to sit by the window, gaze at the wonderful fall colours and read an absolutely great book. It makes me feel at peace with myself. This is what I love about autumn, the crisp cool air, the smell of a bonfire and the crunch of the leaves beneath my feet. My favorite part if fall is all the beautiful colors everywhere. The weather is nice for a while also. Not to hot or cold. Perfect for taking a walk. The weather!!!!! I live in Alabama and the summers here are brutal so when fall comes around every breathes a sigh of relief!! I love the cooler temperatures of fall and cooking comfort foods again:). The change of leaves. The smell walking through them. The cool air. And of course, football. I love driving through the mountains and seeing the leaves change colors. Fist thank you for the givaway. My favorite autumn memory is from 11 years ago. I am a native Floridian and we don't see much of a season change, but 11 years ago I spent a fall & winter in Minneapolis when my oldest daughter had to have a bone marrow transplant. Kiera was only 4 and loved to ride in her stroller and listen to the leaves crunch under her wheels. I can't tell you how many trips (necessary and just for fun) that we made through the park next to the Ronald McDonald House and to the hospital with Mom or Grandpa running with her stroller just to listen to her laugh at the sound the leaves made. She was blind and therefore very focused on the sounds aroung her. We are so blessed to have had this special time with her as we lost her shortly after her 5th birthday from complications with the transplant. We still talk about her and have fond memories whenever we walk through a pile of leaves. Thank you for the giveaway and chance to win. One of my fond memories about Fall is when as a little girl my sister and I got to run through the rows and rows of dried corn stalks on my grandfather's farm in southeast Colorado with a big ol Harvest moon above. What fun we had. Ditto what JackieW said....I'm her sister. Fall is my fav season... love the colors, the cooler weather, my b-day, & Halloween! Like many others have said I like the cooler (not cool) weather fall brings as well as the changing color of the leaves that fall. I love football, fall colors and cooler weather...sleeping with the windows open and then burrowing under the covers to keep warm. Wow! Awesome giveaway! I love Indian Summer in the fall. I hate cold weather even though I live in Canada. So I always look forward to that last hurrah of warm weather before dreaded winter sets in. Fall was my mother's favorite time of the year. She loved the brightly-colorful leaves of Fall so dearly that each year my father would search for the most-colorful branch from a tree that he could locate and bring the branch to my mother. She would put that colorful spectacle in a vase and place it atop her piano located in our living room. We all enjoyed that beautiful bouquet throughout the Fall season. As the leave start to turn brilliant in the Fall. I will always especially remember my mother and my father's love for her. I work outside so fall is my favourite time of year! I love the cooler air and watching all the leaves turn colour and fall. It is such a nice break from the heat and humidity of summer. Thanks to everyone for the wonderful giveaways! I love the beautiful fall colors and the crispness in the air. We always have outdoor gatherings for brunswick stew, weiner roasts, cooking smores over the bonfire! It gets so hot down south that we cherish every fall day that is a break from the heat and humidity! Less Humidity! I love the cooler weather in the fall and the beautiful colors. Unfortunately it also brings out the allergies so I have to read indoors alot more in the evening. Great giveaway - thanks for the opportunity! I love the changing colors of the leaves and the cooler air. Loved the one time I was at Williamsburg, VA and the leaves were changing. To be on a mountain and look into a valley of multi-colored leaves was beautiful. Some of the things I love about autumn include the color changes of the trees, the bounty of apples and pumpkins, and the aroma of a fireplace. I like when the leaves change colors. I love the fall foliage, the cooler temperatures and seeing the children dressed up in their Halloween costumes. I remember when my kids were young, we would all go outside, get rakes and start raking up the leaves; we had tons of trees and we had tons of piles just made for kids to play in, roll in, throw and then rake again. Then we would get huge garbage bags to put the leaves in, keep some for Halloween decorations and put the rest in the back until recycle day! I love fall for its smell, the color and the cool night air. Autumn means that families start coming back together. It also means more of an excuse to read! I love the changing of the leaves. I love the3 cooler days and getting to wear scaves and sweathirts. I also love that it means halloween is coming. What an awesome giveaway. I'd have to say my fav thing about fall is the cooler evenings,( girl suffering night sweats here!) lol. I also love the colors and most of the bugs are gone. The sky seems bluer, the moon is bigger, my fav season for sure! Fall is my favorite season. The changing colors, the cooler temperatures, pumpkins, Halloween and Thanksgiving, I enjoy them all. Also my mother turns 91 this month. what a fabulous and huge giveaway! Thank you!!! I love the cooler weather because it means I get to have a fire in the fireplace to snuggle in front of and read. I also love to watch as the leaves change colors, makes for beautiful scenery. I love fall because the weather becomes (for the most part!) bearable. Summers are long and hot in Mississippi. thanks for the chance to win this awesome contest.. I love Fall because Fall herald in Winter. The weather is cooler... the nights are longer. The bright, deep, and dark colors like orange, red, burgundy, and emerald are worn more. The scent of cinnamon, spice, cider, evergreen bring the happy memories and longing for home for the Holidays. My favorite parts are the cooler weather with less humidity and the changing colors. Fall has ALWAYS been my favorite time of year! But, in my later years I have come to love it even more. My greatest reason now is that for the last 4 years (and in 4 weeks for the 5th time) my mother and I have visited Tennessee. We rent a cabin in the mountains so we can enjoy the colors of the trees and the sounds / sights of animals preparing for winter. Our main purpose is for the solitude of being away from it all, sitting in front of the fire with a pile of books between us. No phones, no TV, no husbands, children, grandchildren, work, etc to interrupt us. For 5 wonderful days we spend our time taking in the scenery and cooler air during the afternoon. Morning & nights are dedicated to reading. It is our annual Fall Book Break. What an amazing giveaway! I do enjoy fall and my favorite part is the cooler weather that is not yet cold so I have so much energy to get things done. I love the autumn time when it gets cooler, I plant acorns for new trees (if the squirrels don't find them first to replant, and I can read books on the back deck when my eyes aren't closed. Autumn is a great season for me because I love the cooler weather and everything PUMPKIN! Also, Halloween is a great time for me to indulge my costuming addiction! I love the cold weather and all the Halloween, Thanksgiving and Christmas theme books that are released! I got married in autumn, so I always associate it with romance. I love the colors of the season and the musky scent of the air often underscored with woodsmoke. Delightful! And a delightful giveaway you're doing. Thanks for the awesome opportunity! I'm not one of those fans of autumn. Give me a fresh spring day with trees turning that light green they only show in spring before everything gets so hot and oppressive! 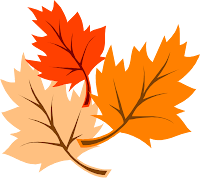 I love the fall, the color of changing leaves, the smell in the air of dried leaves and apples, not having to cut the grass. Since I got married this year in Sept at a winery in Kelowna, B.C., I will love it even more. There are several aspects I love about fall. I thought about it and couldn't zero in on just one. I love the colorful leaves, the cooler temps (wearing hoodies weather), the smell of burning leaves, caramel apples, pumpkins, hayrides and bon fires. I LOVE the cooler weather of Fall, assuming it ever cools off here, and football! Fall has always been my favorite season. The cooler crisp air and the leaving changing colors. Thanks for the awesome giveaway. My husband has a motorcycle and we love to ride in the fall. The air is cool and the trees are so pretty. We do most of our riding through and around Wisconsin. We are riding to Nashville this weekend. Should be beautiful. Thanks for the giveaway. This is a great way to be introduced to new authors. I love autumn...especially sitting out on the deck with a good book and a hot cup of coffee. My favorite fall memory happened when I was driving down a tree-lined back country road and I got caught up in a huge whirlwind of leaves. It only lasted for probably 15 - 30 seconds but the memory of it will last a lifetime. I love Fall because the humidity is finally gone, and the warm days and cool nights are the perfect weather!! I love fall. I love the crisp air especially in the early mornings and I love the sight of falling leaves. I do love winter but sometimes the cold is just way too much so I think autumn is the best time of all. I tend to like Spring better lol since I really need to see green after the winter snow and ice but I love Halloween. We have a pumpkin carving party every year and it's a blast. Thanks for a great contest. I like autumn. Fresh air and beautiful colors...Also Halloween :) Thanks for the giveaway!